With this concert, the Southbank Centre’s KLANG festival, curated by Oliver Knussen, drew to a close. Gesang der Jünglinge is generally acknowledged to represent a milestone in electronic music. In the wake of the year-long Messiaen celebrations, I was put in mind of the correspondence between Stockhausen’s electronic chorus, founded upon a single treble voice, and Messiaen’s birdsong. That liturgical sense ever-present in Stockhausen’s œuvre shone through, as did the alleluias of the refrain ‘Preiset den Herrn’. Another correspondence I made was with the Leipzig Bach recordings of the early 1950s from Gunther Ramin and the Thomanerchor, for Stockhausen’s heterodox Catholicism was always inviting enough to encompass other traditions. The recording naturally sounds a little dated nowadays, as had that of Varèse’s Poème électronique at the Proms. Far more important, however, was the sense of the Royal Festival Hall being transformed into a cathedral of sound. The musicians of the Royal Northern College of Music brought us the London premiere of Lucifers Tanz (‘Lucifer’s Dance’). It is of course a pity that we were unable to experience a staged performance, but this was certainly not a gift-horse to be looked in the mouth. Having ‘resurrected’ himself following apparent death, Lucifer’s project here is once again to enslave mankind, on this occasion through facial gestures, the material of the dance. If staged, the orchestra would be presented in the shape of a human face; here, there was of necessity some compromise, but the musicians were still compelled to move in their seats, as well as to play, in order to convey some impression of the facial gestures commanded by Lucifer. We also missed the stilt dancer who would have represented Lucifer onstage; instead, though, we had the compelling visible presence of the bass, Nicholas Isherwood, himself. Magician-like in aspect and in sonorous deep voice, he acted as guide to and initiator of the sequence of Left-Eyebrow Dance, Right-Eyebrow Dance, Left-Eye Dance, Right-Eye Dance, Left-Cheek Dance, Right-Cheek Dance, Wings-of-the-Nose Dance, Upper-Lip Dance, Tear Dance, Tip-of-the-Tongue Dance, Ribbon Dance, and Chin-Dance. The straightforward word-setting – one could hardly be more distant from Nono or indeed from many of Stockhausen’s contemporaries – is fitted to the liturgical intonation. As Jerome Kohl explained in his excellent programme notes, the music ‘is scored in the Dionysian “section style” of the big-band jazz’ Stockhausen remembered from his youth. I recalled the echoes of such style in Henze’s Boulevard Solitude, although here the influence was more structural than stylistic. 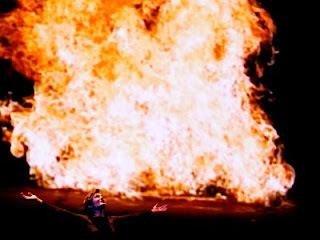 The pulsating opening, which to some extent provided the underpinning for the rest of the scene, gave a fine sense of the ritualistic, continued in and heightened by the physical nature of the performances. Although some, though by no means all, of the music is frankly tonal, it sounds primæval – this is, after all, a creation myth – and in no sense suggests compositional exhaustion. Whatever else Stockhausen may have been, he was no neo-classicist, nor neo-anything-else. Ably conducted by Clark Rundell, the musicians of the RNCM wind-band proved superb advocates for Stockhausen’s score, fully at home with his requirements. The three instrumental soloists, Marco Blauuw (familiar from this year’s Stockhausen Prom), Karin de Fleyt, and an unnamed percussionist (a pity, since he deserved recognition) from the RNCM, were equally excellent. Blauuw’s alternation between unmated and muted trumpet, to which certain extended techniques were added, was as flawless as one would expect, yet nevertheless deserving of comment. This is a worthy successor to Markus Stockhausen in the role of Michael. His unsuccessful – dramatically, that is – yet impressive soliloquy marked an especial highpoint, as did the splendidly despatched percussive Wing-of-the-Nose Dance, echoing yet transcending any popular origins. De Fleyt conveyed in her line – which would have accompanied a solo Totentanz (dance of death) on stage – memories of Prélude à l’après-midi d’un faune, her piccolo as sinuous and sensuous as I can recall hearing the instrument. This is my third Elektra within a year, having also seen productions in Berlin and in Munich. To think that I once worried about the effect that too much Mahler might have upon me! As with Mahler, albeit unnervingly without the catharsis, deepening knowledge of the work has served only to heighten my fascination and admiration. 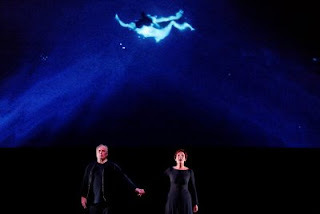 The Royal Opera’s revisiting of Charles Edwards’s production – Edwards rightly dislikes the term ‘revival’, although in some cases, it can sadly be all too appropriate – has much to commend it, as did the two German performances. Edwards’s sets give an excellent impression of the corruption and depravity of Mycenae. It is not excessive, which must be a temptation, and is therefore all the more powerful. Antiquity and the early twentieth century – a little after the time of composition – are both suggested without being fetishised. Whatever Elektra is ‘about’, it is certainly not about historical ‘accuracy’; indeed, given how closely Hofmannsthal follows Sophocles, it is remarkable how little of the latter’s politics remain. And although the activity of archaeology is perhaps suggested by the bust of Agamemnon – chillingly kissed by Elektra – and by signs of digging, there is no dry archaeological positivism to the scene, which stands dialectically related to the dancing on a volcano of the 1920s. Had they not learned from the War (whether Trojan or Great)? Of course not. Violence is endemic though not unduly exaggerated. (David McVicar could have learned a great deal from this before his sensationalist Salome, as he could have done from Edwards’s intelligent rather than arbitrary suggestions of the interwar years.) The treatment of the Fifth Maid – a fine portrayal from Eri Nakamura, a Jette Parker Young Artist – by the other maids and Miriam Murphy’s splendidly horrifying Overseer really sets the scene for what is to come. The degrading – fatal? – punishment that follows horrifies still more. What helps to make this so powerful is the partial restoration of the political that Edwards so successfully achieves. He reminds us throughout that this is not simply a madhouse but the palace of Mycenae. We see from time to time other members of the household and the effect that the degeneration of the ruling house has upon the ruled, most crucially of all in the final bloodbath, in which the palace wall is lifted to reveal the carnage that has been unleashed, the latest – and, we must hope, the last – instalment of Thyestes’s curse upon the house of Atreus. This is not of course the only way to present Elektra but it is an interesting and valid route to take. Sir Mark Elder’s reading stood distant from the blood-and-gore, priapism-a-minute approach of Sir Georg Solti. We heard a great deal of detail in the score, including some delectable woodwind lines, impeccably played by an orchestra on top form. The baleful Wagnerian brass sounded, rightly, as if it had originated in Fafner’s lair. Dance rhythms surfaced throughout, reminding us that Elektra is not only the high watermark of Strauss’s expressionism but also paves the way for Der Rosenkavalier (which is, in turn, a far nastier opera than nostalgics could ever understand.) There were times, however, when I thought that a little more menace, violence even, would not have gone amiss. One can tend towards the analytical without the occasional loss to the dramatic that we heard here. 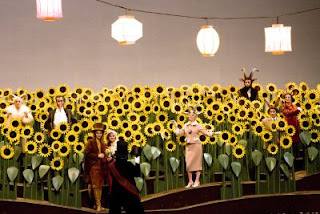 In Strauss, Christoph von Dohnányi is an example in this and so many respects, although Semyon Bychkov also impressed during the production’s initial run. In a generally well-paced account, the crucial Recognition Scene dragged somewhat, lessening the dramatic release upon the realisation of Orest and Elektra that they have finally been reunited. That said, it was a treat to hear the final scene develop rather than scream throughout. Even necrophiliac orgies of destruction need to gather pace. Moreover, the musical echoes here of the final scene of Tristan can rarely have registered so clearly. The cast was impressive, not least in the smaller roles, all of which were well characterised, as well as well directed. Johan Reuter started somewhat anonymously as Orest – although, I suppose, he is anonymous to Elektra at this point – but his portrayal acquired greater strength. Frank von Aken was no Siegfried Jerusalem, to whose cameo we were treated last time; by the same token, he was no mere caricature in the role of Aegisth and he acted well, disturbingly well. Jane Henschel not only spitted malevolence and terrifying, jubilant hysteria, the latter upon the news of Orest’s death. She also imparted a sense of vulnerability, of the humanity that must at one time have existed in Klytämnestra. This made the sheer evil displayed at her last both shocking and credible. Anne Schwanewilms made a sympathetic Chrysothemis, as she had previously. One could forgive the occasional occlusion of the words – inevitable to some extent – given her beauty of tone and security of line. And Susan Bullock was a fine Elektra. She fully inhabited the role musically and dramatically, her fine diction and intonation permitting a more sophisticated portrayal than the screaming harpy of caricature. Desperation and damage, resilience and revenge: one understood how all of these feelings and more arose from the murder of her father, and beyond that from the terrible feud between the two sons of Pelops. In this, as in so much else, Bullock’s Elektra and Edwards’s Elektra were at one: at the service of Strauss and Hofmannsthal, yet nevertheless, and indeed consequently, engaged in imaginative recreation. 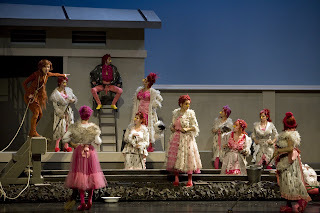 This is, perhaps surprisingly, the Paris Opéra’s first production of The cunning little vixen. But then Janáček’s greatness has not been widely recognised for so long as one might expect. Early performances tended to be the preserve of Czech performers, with a few German exceptions. To take the standard-bearer of later twentieth-century modernism, it is not quite true to say that Pierre Boulez has only come now to the music of Janáček. As early as 1973, he conducted the Lachian Dances in New York. (The concert also featured music by Handel, Mozart, and Copland; recordings can readily mislead as to the breadth or otherwise of an artist’s repertoire.) This nevertheless proved an exception and it is only much later that Janáček has come to feature more regularly, if hardly frequently, in his programmes. A Prom this year marked, I think, the first opportunity – and I shall be pleased to be corrected – for a British audience to experience his Janáček. Moreover, it was only in 1978 that a collected edition was begun. Sir Charles Mackerras has of course proved an indefatigable champion from his Sadler’s Wells days onwards and Bernard Haitink conducted more than one might have expected whilst at Covent Garden. Gérard Mortier has certainly done his bit for the cause whilst at the helm in Paris, as he did in Salzburg too. This production must be accounted another success for his régime as it enters its final year. The production comes from more or less the same team that brought us the estimable Paris Cardillac. André Engel, Nicky Rieti, and Andre Diot are common to both. This is clearly a team that has a sense of theatre. (What should be a given is far from always so.) It is, moreover, evidently willing to consider its approach according to the work and the circumstances rather than to impose a ‘house style’, irrespective of requirements. (Achim Freyer’s Eugene Onegin, anyone?) I say that, since a sense of theatre apart, the two productions did not have anything startlingly obvious in common. Where Cardillac had been highly stylish, there was something winningly homespun here, to appeal – in that tedious cliché – to children of all ages, but not only to do that. Amidst the apparent wide-eyed naïveté of the bright sets and delightful, anthropomorphic-but-not-too-anthropomorphic animals, serious and apposite points were made concerning the cycle of life and the somewhat fraught relationship between man and the natural world. (In the case of this opera, one might say vice versa too.) We saw the turning of the seasons – and almost felt them, the music helping very much here, of course. And the turning of the seasons, as in Haydn’s oratorio of that name, is also a metaphor for the stages of life, the first intimations of spring at the end moving as they should. The railway line running through each scene was not, as it might sound in abstracto, a merely fashionable device, but visible evidence of the impact of man upon Nature. It was not taken any further than that, turning a delightful work into a self-righteously environmentalist tract, but it nevertheless made us think. The orchestra of the Opéra national de Paris sounded at least as good as it had for Tristan the previous evening, if anything even better. An especial delight was the vernally fresh woodwind, with the brass boasting an impressive night too. Early on, we heard fanfares that looked forward to the Sinfonietta, whilst the fine quartet of horns in the third act approached perfection. Dennis Russell Davies proved a steady hand at the helm. To start with, I missed a little of the lingering Romanticism that one can often hear in Janáček. However, as the evening progressed, I heard more, not a bad metaphor for the blossoming of the vixen herself. Rhythms, with the very occasional exception, were taut and the structure was admirably clear. Elena Tsallagova showed herself as agile of voice as she was on stage, in the title role. Her rapport with Hannah Esther Minutillo’s Fox was genuinely moving, whatever reservations one might entertain in principle about a couple of foxes falling in love. All of the other parts were taken with gusto; character acting and character singing were quite rightly to the fore. And the multifarious choral and silent movement parts were equally impressive: a tribute to a genuine company achievement. A sermon delivered at Evensong, at Trinity College, Cambridge on Sunday 26 October: http://www.trin.cam.ac.uk/show.php?dowid=627. The series, God in the nineteenth century, will culminate with Terry Eagleton on Nietzsche on Sunday 23 November. Other sermons may be found at: http://www.trin.cam.ac.uk/index.php?pageid=459.